The Cornell Arbitration Team won the Oral Advocacy Award at the New York State Arbitration Competition. The American Arbitration Association, in cooperation with the New York State Bar Association Dispute Resolution Section, sponsored the event at the American Arbitration Association offices in New York City on November 13-14, 2015. The Cornell team was sponsored by the Scheinman Institute on Conflict Resolution, a joint enterprise of the Law School and the ILR School. The Executive Director of the Institute is Professor Rocco M. Scanza of the ILR School. Fourteen New York law schools entered arbitration teams consisting of three members and one or two coaches. The competitors received a realistic commercial dispute fact pattern together with pleadings and supporting documents drafted by experienced arbitrators and advocates. Teams were required to draft a pre-hearing memorandum, prepare witnesses, and conduct an arbitration hearing before a panel of professional arbitrators. Competitors participated in two preliminary rounds after which two teams were selected for a championship round. The two-day schedule included demonstrations as well as programs on arbitration advocacy and arbitration awards. 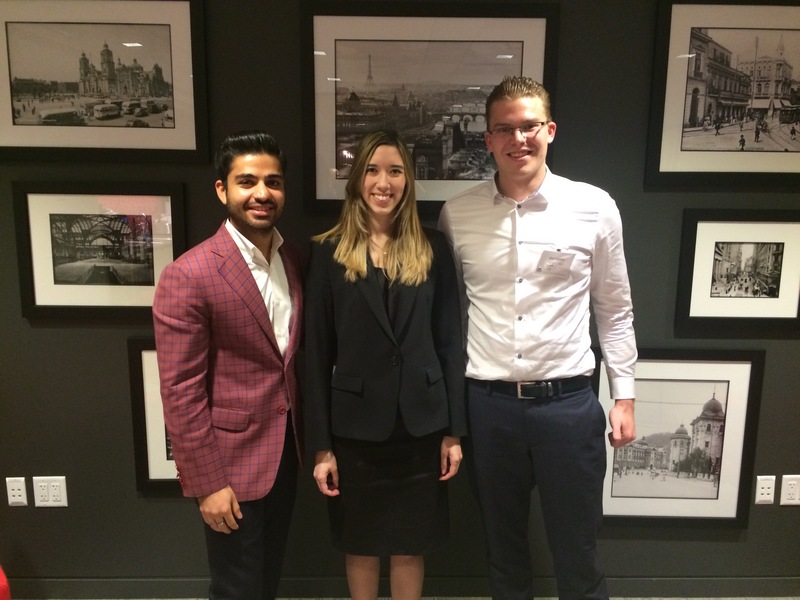 The Cornell team, drawn from the Law School’s Arbitration Law and Practice Course taught by Adjunct Professors Stephen G. Yusem and Patricia A. Ranieri, consisted of Victoria Luttman from Australia, Aditya Singhal of India and Johannes Van’t Zand of the Netherlands. The alternate member was Sara Qahouse from Jordan. “Our team, on short notice, turned in a superb performance and well deserves the accolades that it has received,” said coach Yusem.